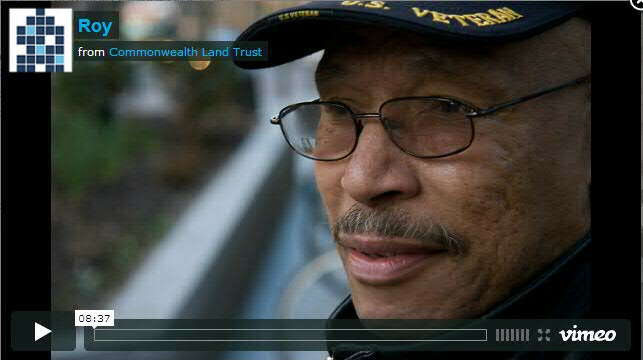 At Commonwealth Land Trust, we believe that everyone has the right to safe, decent affordable housing. Commonwealth Land Trust works to end homelessness through our supportive housing programs serving formerly homeless, disabled, and very low-income individuals, as well as through our family housing reserved for formerly homeless and low- to moderate-income families. According to a report by the US Department of Housing and Urban Development (HUD), there were 407,966 homeless individuals in the United States on a given night in 2010. HUD estimates that 1,593,150 individuals experienced homelessness over the course of 2010. [i] Homelessness is a massive social problem that extends far beyond our housing and supportive services. It weakens communities and damages lives. CLT recognizes that effective solutions to ending homelessness involve increasing the availability of supportive and affordable housing. There are three types of homelessness: transitional, episodic, and chronic. Accounting for 80% of the emergency shelter population, the transitional homeless have often experienced a life-altering event like a job loss, medical condition, domestic violence situation, or divorce. They spend a short period of time in the emergency shelter system before securing permanent housing. Most either never return to the shelter system or do so after a prolonged period of time. Accounting for 10% of the shelter population, episodic homelessness individuals have been homeless for less than one year and have experienced fewer than four episodes in the past three years. The single greatest cause of homelessness is poverty. Individuals and families in the lowest educational and income groups are four times more likely to experience homelessness than those in the highest education and income groups. In addition, those struggling with severe mental illness are four times more likely to become homeless than those without a history of mental health challenges. [v] Other conditions that can lead to homelessness include physical disabilities, addictions, prior incarceration, domestic violence, relationship changes (divorce), unemployment, and poor economic conditions. Although homelessness is inherently difficult to quantify, academic and government researchers have developed methods to collect and analyze homelessness statistics. The number of homeless individuals in Boston has been relatively constant for the past sixteen years with 3,700-4,000 individuals experiencing homelessness on a given night in January. Although only 15% of Boston’s homeless population is chronically homeless, 50% of shelter resources are expended on this group. As the shelter system was not designed to house people for long periods of time, chronically homeless individuals impose a heavy burden on Boston communities. [ix] Indeed, many chronically homeless individuals use emergency rooms as their primary means of medical care, costing tax payers thousands of dollars each day. The rate of family homelessness in Boston remained relatively unchanged from 1994 until 2005 when it began to show significant increases. This trend continued through 2008 when homeless families outnumbered homeless individuals for the first time. A record 3,870 people, largely single-parent female-headed households and their children, were homeless. In 2009, there were 2,380 homeless children in Boston, a figure that has doubled since 2005. Economic problems have fueled this trend, including rising unemployment, a loss of 19,000 jobs since 2008, and 4,000 foreclosures since 2007. [x] These statistics underscore the need for more affordable housing in Boston, which would enable low-income families to remain in housing during adverse economic conditions. CLT’s family housing in Lower Roxbury and Chelsea is an important affordable housing resource, providing formerly homeless and low- to moderate-income families with a permanent home and stability. Rising housing costs and a lack of affordable housing in large metropolitan areas like Boston put low-income families at risk of homelessness. 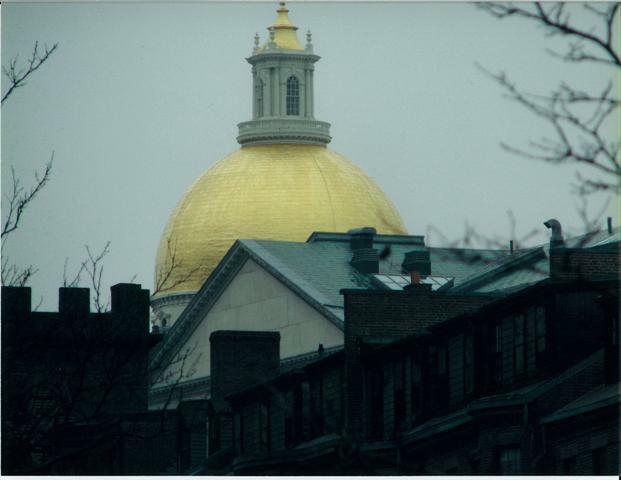 [xii] Increasing the amount of affordable housing in Boston would strengthen our communities. [i] “Current Statistics on the Prevalence and Characteristics of People Experiencing Homelessness in the United States,” Substance Abuse and Mental Health Services Administration, accessed May 16, 2013, http://homeless.samhsa.gov/ResourceFiles/hrc_factsheet.pdf. [ii] “Emergency Shelter Grants Program Desk Guide,” Department of Housing and Urban Development, accessed May 16, 2013, http://www.hudhre.info/index.cfm?do=viewEsgDeskguideSec4. [iv] “Current Statistics on the Prevalence and Characteristics of People Experiencing Homelessness in the United States,” 5. [v] Christopher G. Hudson and Yvonne M. Vissing, “The Geography of Adult Homelessness in the US: Validation of State and County Estimates,” Health & Place 16 (2010): 832. [vi] Huson and Vissing,”The Geography of Adult Homelessness in the US: Validation of State and County Estimates,” 830-831. [vii] “Current Statistics on the Prevalence and Characteristics of People Experiencing Homelessness in the United States,” 1-4. [ix] “Beyond Shelter: Boston’s Strategy to Reduce Homelessness,” City of Boston- Mayor Menino, accessed May 16 2013, http://www.cityofboston.gov/Images_Documents/Beyond%20Shelter%20-%20Boston’s%20Strategy%20to%20Reduce%20Homelessness%20June%202010_tcm3-17659.pdf. [xi] Huson and Vissing,”The Geography of Adult Homelessness in the US: Validation of State and County Estimates,” 836. [xii] Angela R. Fertig and David A. Reingold, “Homelessness Among At-Risk Families with Children in Twenty American Cities,” Social Service Review 82 (2008): 9.